This new Dutch variety is considered by many professional growers to be the replacement for Cambridge Favourite. 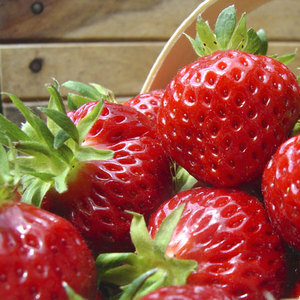 High yields, attractive glossy fruit and excellent shelf life. The flavour is outstanding. I thought I would give this variety a go due to its outstanding reputation for flavour and yield. Good plants supplied by Blackmoor. Bought strawberry plants but had to delay planting but the roots were so healthy they have established really well. Planning to buy more strawberries next year now.